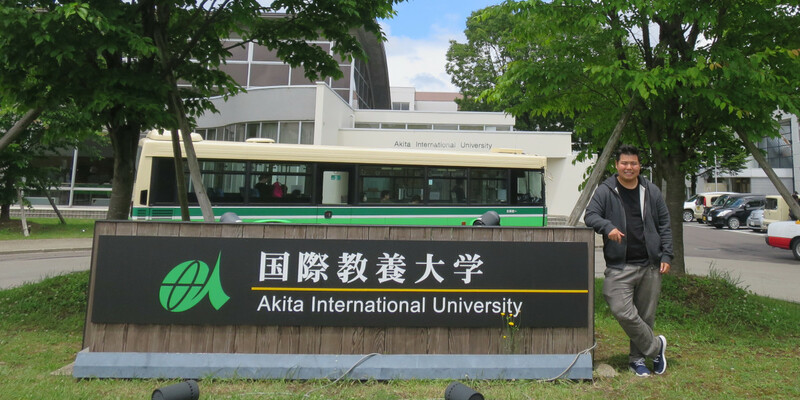 I decided to come to AIU because I wanted to experience the countryside (Inaka) life of Japan. Having said that, I cannot deny that I was feeling nervous about my new life in Japan. That, however, did not continue as I made many friends with both the international students and Japanese students quickly. I would not have thought my best friend in Japan would be a Norwegian dude! Since then, I was able to enjoy many things I previously was not able to do in Sydney. 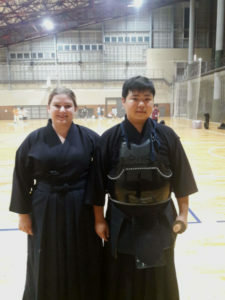 Things like Kendo, Tennis and rice planting. I am really lucky to have been invited by a friend from the AUWA club to join them for a rice planting trip near Wada station. It was really hard work but at the same time it was extremely fun and I now have a newfound respect for the rice farmers in Akita. The classes in AIU are also of high standards. My favourite class so far is 'Introduction to Modern Japanese History'. The classes are always very engaging and the contents are extremely interesting. Coming from someone who has never done or thought of doing a class in history, I'd say that is high praise. One of my favourite things to do in Akita so far is to walk to Aeon with my friends when the weather is great (aka not raining). It is such a good walk and the scenery is just amazing. I recommend everyone trying it one day! Of course, living in Akita – or anywhere – is not going to be all sunshine and rainbows. My biggest pickle about living in Akita is the inconvenience. If I miss the 21:30 bus from Wada station or the 11pm-ish train from Akita station, I am looking at a 6000 yen taxi fare back to AIU.